‘Once a sister, always a sister’ goes the adage in Bollywood. Quite a few wannabe heroines, howsoever well endowed in their acting prowess, get typed in sisterly roles. Think of Nazima, Naaz, Daisy Irani, Tabassum, Farida Jalal and several others who got ‘typified’ and had to remain content playing docile sisters to dashing heroes in several movies. In fact, one of them was even labeled as a ‘Resident Sister’! But some fine actresses had the guts and the opportunity to prove their detractors wrong. They managed to break through the glass ceiling, so to say, and metamorphosed into highly successful romantic heroines. Consider Mumtaz, for example. Having played a sisterly role in Gehra Daag (Director: O P Ralhan, 1963), she went on to become the darling of the masses later in her career. We also have actresses who, despite playing a romantic lead against leading heroes of the day, ventured into unchartered waters and played loving sisters with much aplomb. In some cases, they did so opposite the very hero whom they were romancing in some other flicks! Here is a quick recap of some of Bollywood’s actresses who have dared to experiment along these lines. 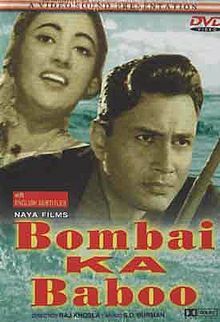 The diva from Tollywood, Suchitra Sen, started off in Bollywood by playing an ‘assumed’ sister to the debonair Dev Anand in Bombai Ka Babu (Raj Khosla, 1960). The movie tapped her emoting strengths quite successfully. When she realizes that the hero is impersonating her long-lost brother only to get access to her family’s wealth, her shock and surprise is spontaneous. Her anguish on finding a ‘brother’ making romantic overtures is well portrayed. Eventually, the hero is forced to accept their brother-sister relationship. He ends up supporting her marriage elsewhere. Suchitra Sen also played a romantic lead opposite Dev Anand in the movie Sarhad. However, both these movies did not do well at the box office. Her subsequent movies, like Devdas, Mamta and Aandhi are classics which won critical acclaim as well as cine-goers’ appreciation. Who can forget the enchanting song ‘Dum maro dum…’? Picturised on a debutant Zeenat Aman in Hare Rama Hare Krishna (Dev Anand, 1971), the song remains fresh in public memory even today. The movie touched upon the decadence of the hippy culture and the drug menace. Dev ends up in Nepal, looking for her long-lost sister, played by Zeenat. He succeeds but the sister is unable to reconcile herself to a normal lifestyle and ends her own life. Subsequently, Zeenat Aman slipped into romantic roles opposite Dev Anand in several movies directed by him, including Heera Panna (1973) and Ishq Ishq Ishq (1974). The fact that she eventually went on to become a successful star in mainstream Bollywood flicks shows that out-of-box career starts do not always lead to disasters. 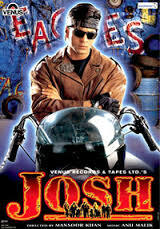 In Josh (Mansoor Khan, 2000), Aishwarya played Shahrukh Khan’s sister with much ease. Both were established stars in Bollywood by then but took up the challenge of portraying siblings in this flick. 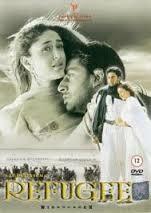 They also romanced each other in Mohabbatein (Aditya Chopra, 2000) and then in Devdas (Sanjay Leela Bhansali, 2002). Aishwarya made yet another foray into the sibling territory by playing Amitabh Bachchan’s sister in Hum Kisise Kum Nahin (David Dhawan, 2002). In Ek Ladka Ek Ladki (Vijay Sadanah, 1992), Neelam played a romantic lead opposite Salman Khan. Subsequently, they teamed up as a brother-sister duo in Hum Saath Saath Hain (Sooraj Barjatya, 1999). In Darr (Yash Chopra, 1993), Juhi was hounded and stalked by Shahrukh who is obsessive about her. In Raju Ban Gaya Gentleman (Aziz Mirza, 1992), Yes Boss (Aziz Mirza, 1997), Duplicate (Mahesh Bhatt, 1998) and Phir Bhi Dil Hai Hindustani (Aziz Miraza, 2000), Juhi and Shahrukh portrayed an intensely romantic relationship. However, in Paheli (Amol Palekar, 2005), Juhi played the role of Shahrukh’s sister-in-law! 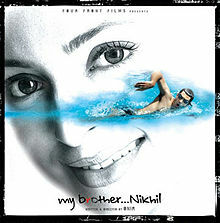 Juhi Chawla played the role of a caring sister in My Brother, Nikhil (Onir, 2005). Her brother, played by Sanjay Suri, gets afflicted by HIV. The cause is never explained, but the effect is vividly captured. Juhi played the heart-warming role very well indeed, portraying the inner strength of her character of a sister who stands up for her brother, even though suffering internally herself. 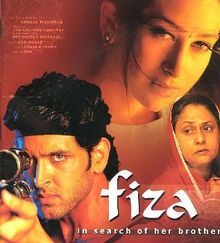 A successful romantic star in her own right, Karishma Kapoor played Hrithik Roshan’s sister in Fiza (Khalid Mohammed, 2000). In a happy Muslim family, tragedy strikes when the brother is wrongly implicated in the serial blasts which rocked Mumbai in 1993. He ends up becoming a terrorist. To save him from getting captured live by the police, the sister ends up killing him at his own behest. 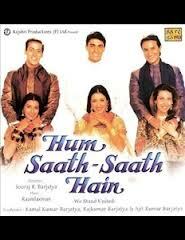 Once in a blue moon, Bollywood has also come up with movies which are based entirely on brother-sister relations. The fondness for each other, the pranks they play on one another and the special bond they share – to the exclusion of even their parents – are all features which have been captured in great detail. Other than My Brother, Nikhil, an outstanding example is that of Boot Polish (Prakash Arora, 1954) which won critical acclaim as well as box office success. Rattan Kumar and baby Naaz put in credible performances in the movie which exhorted us to live even a penniless life with dignity. 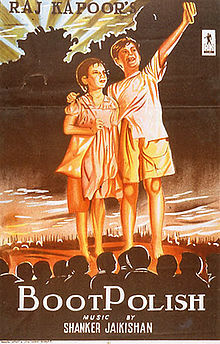 The importance of education for children was another critical message which was conveyed by the movie. Divya Dutta’s scintillating performance as a loving sister in the recently released Bhaag Milkha Bhaag is worth mentioning. It goes to the credit of Bollywood that besides being secular, it provides a diverse platform for actors to showcase their talent. The fact that several stars are open to taking up challenging roles which change their on-screen romantic relationship into a filial one goes on to show the innate professionalism at work. The credit also goes to producers and directors who take a risk and cast popular stars in such roles. This is but one facet of the maturity that Indian cinema has achieved in its hundred years of existence. Hormones are surely stronger than man-made borders between countries. Examples abound of couples tying the knot across the Indo-Pakistan border. Celebrity tennis ace Sania Mirza and cricket player Shoaib Malik did so a few years back. Several other couples have found true love across the borders – some have met with success, some with disappointment. 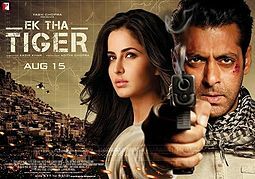 Bollywood has capitalized on enmity between India and Pakistan in several of its movies. However, several directors have been bold enough to send out a message of peace and unity by depicting movies depicting the trials and tribulations of lovers from across the border. Of late, the imagination of script writers has become more vivid, what with RAW and ISI agents falling in love with each other, inviting the wrath of their respective bosses! Movies like Henna and Veer-Zaara had no violent scenes and conveyed the message of love between India and Pakistan in a very mature and sensible manner. 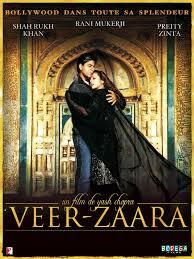 In Veer-Zaara, the spirit of sacrifice made by Veer (Shahrukh Khan) to protect the family honor of Zara (Preity Zinta) tugged at one’s heart-strings. A surprise twist in the tale lay in the subsequent revelation that Zara had crossed over to Veer’s village in India and was running a school in the memory of Veer’s foster parents. Actresses from across the border have often found meaty roles in Bollywood movies. 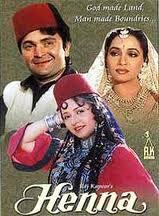 Nikaah (B R Chopra, 1982) featured Salma Agha. Henna used the talent of Zeba Bakhtiyar. Recently, Meesa Shafi played a role in Bhaag Milkha Bhaag (Rakeysh Omprakash Mehra, 2013). Bollywood has also captured the pangs of partition in various movies. 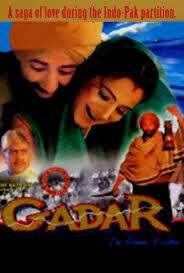 Garam Hawa (M S Sathyu, 1973), Earth 1947 (Deepa Mehta, 1998), Hey Ram (Kamal Haasan, 2000) and Pinjar (Chandra Prakash Dwivedi, 2003) were well crafted. Bhaag Milkha Bhaag also made an effective portrayal of the pain, suffering and trauma associated with the holocaust. The coming generations in both the countries are bound to be smarter than we are. They would also have the advantage of being free of our earlier generation’s emotional baggage. Time is a great healer, it is said. Hopefully, a day will dawn when the two countries would stop being pawns in the hands of other countries. Powers that be in both countries would one day realize that part of their massive military budgets can instead be used to fight their common war against hunger, poverty, malnutrition and education! The care that organizations bestow on managing money is generally much better than what they bestow on their people. Identifying, nurturing and constructively exploiting the talent and innate strengths of their people imparts a great competitive advantage to organizations. The competency of an organization to create a steady stream of in-house leaders determines its strategic success in the market place. Successful organizations have this trait in common – a culture of observing, judging and unleashing talent. 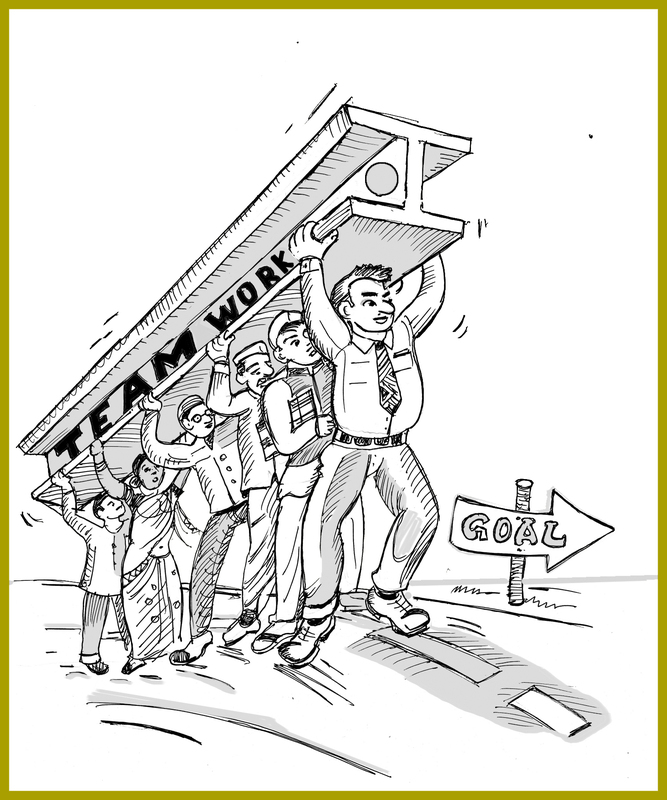 For cross-functional tasks to be carried out, build teams with due care. Let your team have like-minded people as well as a minority of likely dissidents who will ensure the team does not go off track. There are bosses who epitomize terror at the work place. Insulting and demeaning you is second nature to them. They would set impossible targets; as long as the task is in your hands, it would be top priority; once it reaches their own desk, you may not hear of it for the next two years. Some of them have agricultural inclinations – a suggestion made by you would get rejected with much fanfare, in full public view; after six months, it would become their idea and get marketed to the top brass. Fight or flight? If you are sure of your ground and stand up to them once in a while, heavens will not fall. You could end up dealing with a less aggressive boss in the days to follow. The flight option gets linked to the status of the industry as well as your own USP. When forced to continue under such a boss, bide your time and hope for a better planetary configuration in the days to come. Or, quietly work through the grapevine to have alternate relationships and collaborations within the company, so the immediate boss’ sins get exposed to others who might be able to do something about it. Use it as frequently as you can. Use it genuinely, only when you mean it. There would always be disruptions, leaving you frustrated with only truncated time at hand. Report for work early and enjoy a quiet time to plan your affairs for the day. Spend the last fifteen minutes of the day to outline the plan for the next day before leaving office. And yes, keep some time to spare for a friendly cup of coffee with a colleague – informal, no agenda – and see how new ideas take shape! There is a strong positive correlation between trust, loyalty, engagement and ownership of targets agreed to be met by people. Ignore building up of trust and you scuttle the chances of getting things done. At present, the term GDP in India appears to have come to represent our collective Gross Despondency Perception. Our economists and statisticians can perhaps cheer up the hapless and overtly depressed citizens. They can do so by overcoming their obsession with pure materialistic growth. There are several ‘intangibles’ as well as ‘tangibles’ which can get added to the quantitative measure of our progress. For all you know, they could end up depicting a rosier picture which would also be closer to reality. Household chores performed by a vast majority of the better half of our citizenry continue to remain invisible even to prominent economists who take such services for granted at their own homes. Home makers surely deserve a better deal. Without their contribution, the wheels of our economy would grind to a complete halt in no time. Home management services are provided by them 24×7. 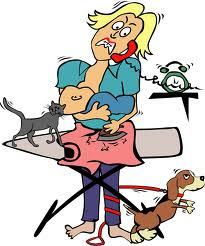 There is no doubt that they possess a high degree of multi-tasking skills. Also, their inventory management techniques always ensure that there are no stock-outs in the kitchen when uninvited guests suddenly pop up over the weekends. Why neglect works of entertainment, literature, music and art works? The movie industry keeps churning out pot-boilers one after the other. Over the years, only the bar of success at the box office keeps getting raised. Television has already blossomed into a primary source of entertainment for the masses. Both the mediums have transcended international boundaries and gone global. India boasts of prolific writers across all languages and there is no reason their contribution to the social thought process should get neglected. 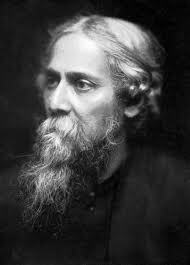 Creative personalities and achievers of all kinds have added value to the Indian identity – right from Rabindranath Tagore to M F Husain, from M S Subbulakshmi to Pandit Ravi Shankar, from Munshi Premchand to Vikram Seth and from Lala Amarnath to Saina Nehwal. The relative soundness of the Indian IP regime can facilitate the inclusion of this parameter in the GDP computation without much fuss. With broadband getting rolled out across the country, and with spectrum sales eventually coming out of the depressing shadow of scams and judicial overreach, the Indian economy would soon start getting digitalized at a faster pace. Digital experiences are slated to improve in terms of reach as well as quality. This sector can boast of a unique range of intangible assets of its own. Such developments can only be ignored at our own risk and peril. Yet another soft power which remains ‘invisible’ to the Homo economicus (as opposed to the Homo reciprocans) amongst us is the religiosity, the innate bent towards spirituality and the resultant bias towards non-violence. The patience displayed by most of our denizens in dealing with shoddy civic facilities, super-slow public services and systemic corruption is perhaps a result of our social mores which are steeped in spirituality. By ignoring this facet, a great mechanism to handle setbacks in life is therefore left out of the reckoning. 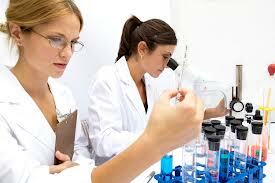 R&D expenditure in the private sector is another area which deserves attention. Admittedly, we are far behind in the realm of innovation and design. But we do have the potential to catch up with the rest of the world. If such expenditure is considered an investment in the economy, a more realistic perspective would emerge. 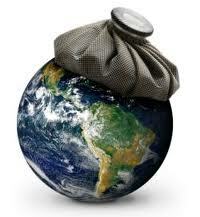 In the relentless pursuit of economic growth, we are guilty of drawing more than we replenish to Mother Nature. Whether it is mining, spectrum-sharing or water-management, we are taking myopic liberties which would prove very expensive, if not irreversible, in the times to come. Green initiatives taken to compensate for the loss of natural resources surely merit inclusion in our scheme of things. The aggregate value of ‘production’ should surely be adjusted to reflect the permanent damage caused to our fragile environment. Considering intangibles in macroeconomics data is not a new idea at all. Way back in 1908, Thorstein Veblen, a sociologist and economist, had used the phrase ‘intangible investment’ to cover everything from innovation to promotion and advertising. At a business level as well, the proportion of tangible assets backing up a brand could be a miniscule 5% of the overall value of the brand. The Bureau of Economic Analysis of US has recently created history of sorts by publishing a revised series of public accounts which include the R&D investment in private sector as well as original works of art such as films, books and music. As an example, for the period from 2002-12, the new data shows an annual average growth rate of 1.8% in place of the earlier declared rate of 1.6%. We have a number of institutions, bodies, statisticians and economists who can surely propose a more balanced way of capturing the realities of the Indian economy. The data may not be easily available and may have its own share of initial controversies, but the attempt would certainly be an improvement in the right direction. PS: Whatever little I understand of Economics, it is due to the learning received from late Prof. S P Singh, a friend, philosopher and guide. 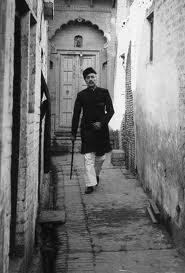 This article is merely a humble tribute to the great person. GETTING INDIA IN THE PINK OF HEALTH! The conscientious ones amongst the mandarins in the Indian Health Ministry cannot really be blamed for having sleepless nights. The epidemic of such lifestyle diseases as obesity, diabetes, hypertension and cardiovascular abnormalities is leaving them a wee bit clueless. The need of the hour is to come up with a scheme which nudges Indians of all sizes and shapes to start living slimmer and healthier lives. Take obesity, for instance. As many as 60 million Indians – roughly 5% of the population – are considered obese. With more than 50 million suffering from high blood sugar, India is a nation headed for a health tsunami the devastation caused by which would be anything but sweet. This is a grave threat to our vision of the country reaping a hefty demographic dividend in the years to come. 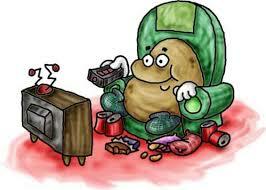 How do we motivate the Indian couch potatoes to switch off their TV sets and go out for a jog or a brisk walk? What is it that makes Indians tick? One, all Indians have a great passion for gold. We are quite happy gobbling up around 900 tonnes of the yellow metal every year. Walk into any jewelry store and the rush there would make you wonder if someone inside is dishing out freebies. You would be excused for mistaking it for a fish market, albeit with an odorless soothing ambience where the sales people smell of perfume but are too busy to attend to your needs immediately. One thing we have surely learnt from our Gulf friends is to build multi-storied malls where a dazzling variety of bangles, rings, pendants, chains and other accessories are on display, each on an exclusive floor of its own. After all, aeons back, India was known as a ‘bird of gold’! Two, like many of our brethren elsewhere on this planet, we despise paying taxes. In a country of 120 billions, where automakers face a slump but luxury cars still sell like hot cakes, less than 3% pay any tax on their incomes. Of these, merely 1.3% report an income exceeding Rs. 2 millions per annum. A Pareto’s Law is in operation here as well – these 1.3% alone make up for about 63% of the taxes collected! Come budget time, and our collective BP levels go up. The hapless salaried class, a sitting duck in any case, hopes for a tweaking of Section 80C etc. The businessmen keep improvising their art of fudging expenses year after year and still suffer from indigestion and insomnia. Corporates have a battery of professionally qualified people assisting them in tax planning, a euphemism for tax evasion being portrayed as tax avoidance. The Government of India would do well to capitalize on these widespread weaknesses of Indians and launch a slew of incentives and schemes which nudge Indians of all hues to start living healthier lives. Dubai has already shown the way by deciding to lure its citizens to lose weight in kilograms and gain ounces of gold. India can improve upon the scheme and link weight loss of its citizens to tax savings as well. A carrot and stick approach based on a single health parameter which is easily measurable (like Body Mass Index, or BMI in short, for example) could be an instant hit with the masses. The scheme can reward people whose BMI is in the normal range. 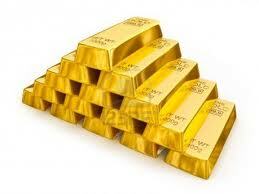 They can hope to get 5 gms of gold plus a rebate of 10% on the taxes payable each financial year. Those who have a BMI in the obese or super-obese range can be made to pay a 10% surcharge on their taxes. Those who are underweight can be given extra rations in the proposed Food Security Bill. A scheme of this kind would surely motivate Indian citizens to start jogging, walking and refusing to become couch potatoes. Those who sustain fitness for longer periods can merit extra incentives. If they do not provide fitness certificates annually for a period of 5 years, there could be an obligation to return the gold thus earned. This would ensure that having pocketed their new-found wealth, the beneficiaries would not start piling up their pounds of flesh once again. The spin-offs of such a scheme are many. Students, if given grace marks for being healthier, would certainly switch their lunch preferences in favor of salads, nuts and fruits, giving up on burgers and pizzas. Those opting for fitness-based careers would find their employment prospects brightening up. Our armed forces would no longer have to face a shortage of officers wanting to join its ranks. 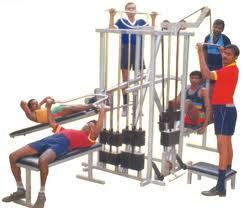 The additional supply of sports persons shall improve the country’s medal tally prospects in Olympics. Engineers and professionals of all kinds would start refusing white collar jobs, providing much-needed manpower for blue collared assignments. Medicos will start taking careers in public health more seriously. Most of our denizens who have been happier staying out of the tax net would voluntarily start filing returns. The IT Department may soon need to beef up its facilities to cope with the mad rush of filing returns, what with the humble paan-waalahs, the washermen and the milk delivery men also jumping onto the bandwagon. The rush for gym equipment, health monitoring accessories and healthy foods would increase manifold, bringing in fresh investments, thereby giving a much needed fillip to the ailing manufacturing sector. Bollywood stars who are already egging us on to remain in good shape would get a fresh lease of life. The just-to-be-married maidens who are fighting the battle of the bulge and chasing their size ‘zero’ dreams would soon start earning a part of their own dowry. 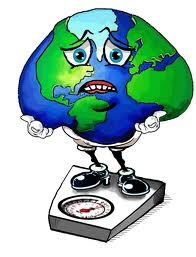 Politicians who remain cocooned in their climate controlled environs may soon decide to visit their constituencies more often, losing weight while walking through the heat and dust of the countryside. A healthy body houses a healthy mind. Soon, the citizens could expect a major improvement in the functioning of our parliamentary institutions. Bureaucrats would soon follow the healthier lifestyles of their leaders, thereby revitalizing a crucial part of our vibrant democracy. Where is the infrastructure to implement a scheme of this nature, you might well ask. With inclusive banking just round the corner, post offices, banks and hospitals of repute can certify the BMI levels of our citizens. P&T staff members who are twiddling their thumbs in the post-telegram era can be trained and used in the scheme. The excess outflow of foreign exchange on account of spurt in gold imports would be easily offset by the higher productivity of the working population of India. This in turn would give a boost to the much sought after GDP numbers, besides inching us conceptually closer to a Gross Happiness Product. Overall, a win-win situation for all concerned. For all you know, India could prove to be the healthiest country on the planet in the near future! Would hi-tech companies like Intel and Toshiba believe in the traditional Indian ethos of spirituality and reincarnation? The fact that their recent promos give us a glimpse into a universe where what is on the inside alone counts does indicate this. The key message appears to be that whether it is a man or a machine, it is only the entity inside which makes a difference. ‘The Beauty Inside’ promo has a narrative of daily incarnations, which fits in rather well with what Lord Krishna tells us in the Bhagavad Gita – that the soul inside us is what really matters! This is obviously not to say that the essential principles enshrined in Eastern scriptures necessarily need an endorsement from the West. It is common knowledge that post-Lehman Brothers, premier management institutions from the West have started showing some interest in the Eastern philosophy. The concepts of morality and ethics have gained currency in management circles. The fact that Stephen Covey speaks of an inner voice and a soul in his book ‘The 8th Habit’ is yet another manifestation of this trend. The concept of a soul is an integral part of various streams of religion and spirituality we see around us today. It is interesting to understand how religion and spirituality originated; also, the value these really add to our mundane lives. After years of research on bonobos – intelligent apes closely related to us, homo-sapiens – Frans de Waal argues that human morality is not imposed from above but comes from within us. In his path-breaking book entitled The Bonobo and the Atheist, he therefore proposes that moral behavior does not begin and end with religion. It appears that our values and ethics are instead a product of evolution and cultural response. The fact that our innate goodness resulted into diverse streams of religions we see around us today readily explains the success of religion – and various Gods revered in each stream – as a concept. The spiritual thought process is also an outcome of the same core of our need to be good within ourselves, in our own eyes. 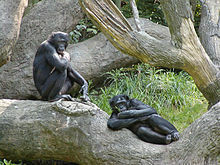 A cat or a dog may not think through the process so thoroughly, but bonobos surely appear to be aware of the nuances of social norms. They have a developed sense of reciprocity and fairness. They are even known to intervene in a fight between two tribe members so as to maintain peace and harmony! Ancient apes, whales and dolphins deserve our gratitude for several qualities that we possess – our sensitivity to others, our concern for fairness, love of harmony and other just forms of societal behavior. If religion or spirituality attract us, it is because these touch a chord somewhere deep within us. The contribution of religion therefore is in presenting us with templates of exemplary conduct. It has codified the social and ethical norms for the average person. 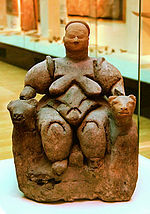 In particular, it has made it easier to explain the nuances of ethical and moral values by portraying examples of Gods and Goddesses whose conduct is worth emulating for the average person. Religion cleverly uses fear and temptation to guide and control human conduct. Irrespective of the stream of spirituality one chooses to follow, the basic template invariably is again that of exemplary conduct. However, the focus is on listening to one’s inner self. The endeavor is to silence the mind, thereby attaining inner peace and happiness. Each stream of spirituality has a different prescription and a unique methodology, but all are unanimous that the spirit is at the centre of it all. To that extent, spirituality has the potential of uniting people, whereas religion has been seen to divide it along communal lines. As compared to religion, spirituality is more embracing. 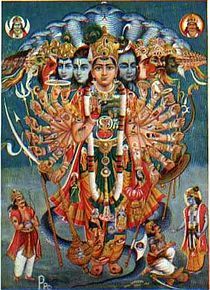 In religion, we have the good guys – devas – and the bad guys – asuras. Following one’s Dharma, the code of righteousness, man can hope to attain salvation. However, spirituality encompasses the good as well as the evil, both being manifestations of the Divine. When Krishna manifests his all-pervasive and all-inclusive Vishwarupa form in the midst of his sermon to Arjuna, it shows the negative side of the Divine as well. 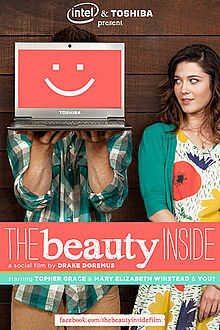 Intel and Toshiba have surely come up with a winner promo in ‘The Beauty Inside’. Similar campaigns which work on a heady cocktail of some basic tenets of religion and philosophy on the one hand and the latest that technology and management has on offer on the other would surely follow. Given that our scriptures are replete with gems of wisdom and lay down templates of exemplary conduct, more and more corporates could be hopping on to the spiritual bandwagon in the days to come. Already, we find companies appointing Chief Belief Officers and Chief Ethics & Compliance Officers. Goes on to show that the role of conscience keepers in corporates is getting the recognition it deserves. Such developments give one hope that the upcoming generations of our future business leaders and professional managers would rate high not only on their Intelligence and Emotional Quotients, but also on their Moral or Spiritual Quotient, bringing to the work place a set of ethical values and practices.